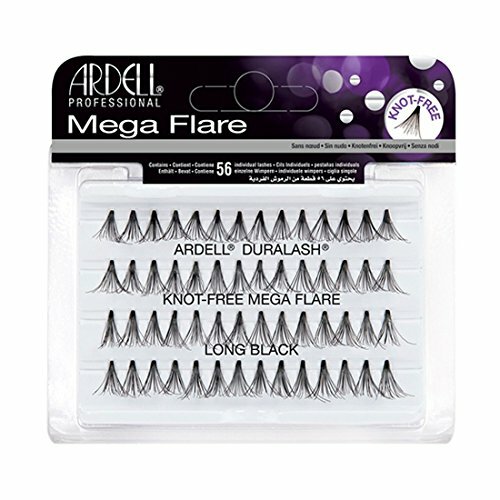 Ardell Duralash Mega Flare Knot-Free Individual Long Black Lashes are high-quality thicker, ultra wide individuals criss-cross to use to easily customize and accent every eye shape and color and design for fuller, more dramatic lashes. Use more for a full look, less for just some accents or to simply fill in gaps. Ardell Duralash Mega Flare Knot-Free Individual Medium Black Lashes are high-quality thicker, ultra wide individuals criss-cross to use to easily customize and accent every eye shape and color and design for fuller, more dramatic lashes. Use more for a full look, less for just some accents or to simply fill in gaps. Ardell Duralash Mega Flare Knot-Free Individual Short Black Lashes are high-quality thicker, ultra wide individuals criss-cross to use to easily customize and accent every eye shape and color and design for fuller, more dramatic lashes. Use more for a full look, less for just some accents or to simply fill in gaps.